Stone wall in the Leventritt Garden at the Arnold Arboretum. 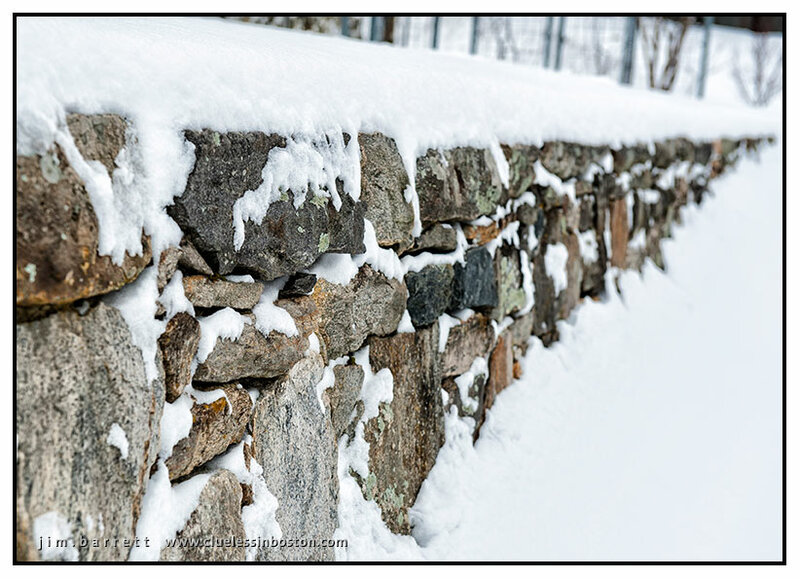 I cannot look at a sturdy stone wall such as this without thinking of Robert Frost's "The Mending Wall." The snow on this one enhances its beauty. Striking in the snow. I am reminded of many country fences here built up like this back in the 19th century.